During the recent SEGA FES, it was revealed that Shenmue and Shenmue 2 will be arriving on PlayStation4, Xbox One and PC (Steam) this year. This comes after a tease of a huge announcement by Sega Europe’s Twitter account. It will receive a physical copy for consoles and will launch worldwide, which is great news for fans. What makes this news especially exciting is the upcoming Shenmue 3, which was announced during E3 2015. It was funded through Kickstarter and was a smashing success. 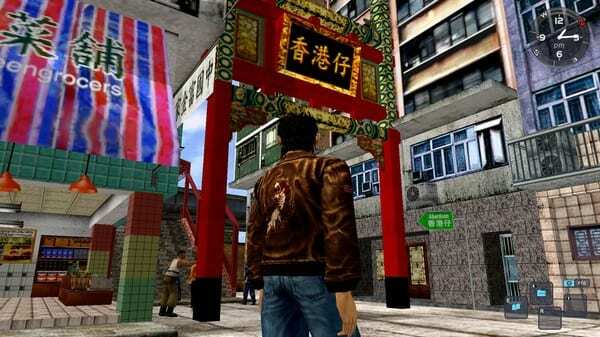 This remaster of Shenmue 1 and 2 will ensure a new generation of gamers can enjoy what has gained a cult classic status. Shenmue 3 wasn’t the only big reveal, with a new Sakura Wars game also being announced. This is an old strategy-RPG series that is currently a Japanese exclusive. It’s a great time to be a fan of classic games with many of them receiving remakes and sequels. Are you hyped for the Shenmue remasters? Let us know in the comments below!